In this video, April Smith of AHA MEDIA is helped by Frederick Cummings, James Diamond, Christoph Runne with stretching out a very long loop of 16mm film with our teacher David Rimmer sitting and looking on. In this video, April Smith of AHA MEDIA learns how to splice 16mm film by Frederick Cummings, James Diamond, with our teacher David Rimmer sitting and looking on. 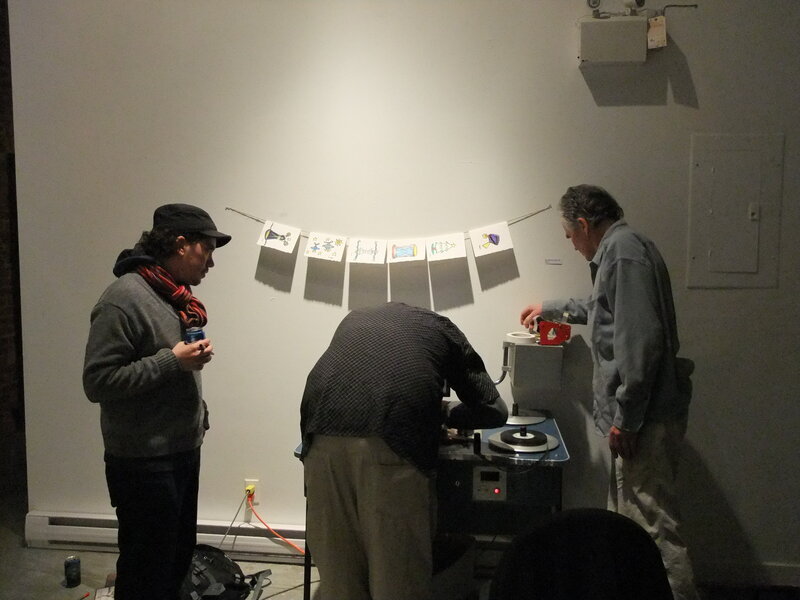 In this photo, is Frederick Cummings with James Diamond making experimental film loops with 16mm films. Born and raised in Vancouver, Rimmer graduated from the University of British Columbia with a B.A. in English Literature in 1967. Inspired by Stan Brakhage’s films and writings, he made his first important experimental films, Square Inch Field and Migration, in 1968 and 1969 respectively. 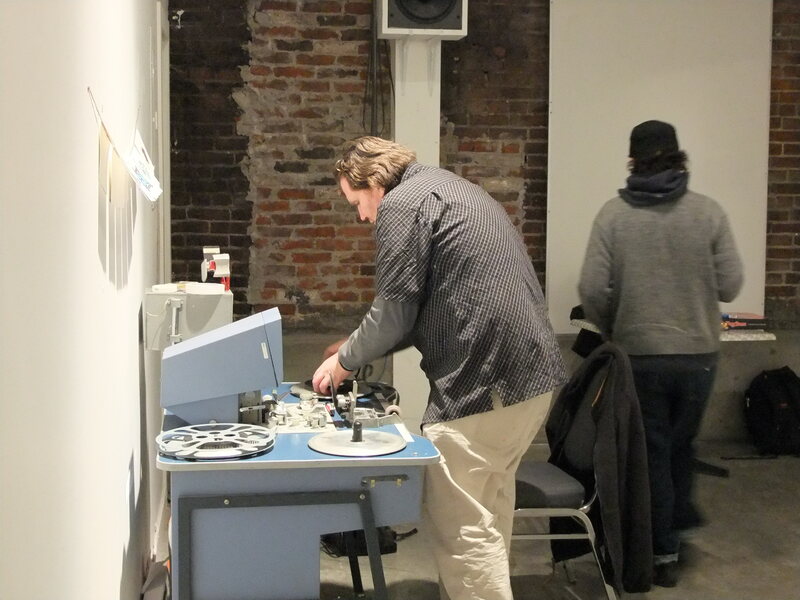 At the time the artist-run Intermedia Co-op in Vancouver and supportive individuals in the Vancouver offices of the Canadian Broadcasting Corporation (CBC) and the National Film Board of Canada (NFB) were providing Vancouver-based experimental filmmakers with access to surplus film, processing, optical printers and other post-production facilities. 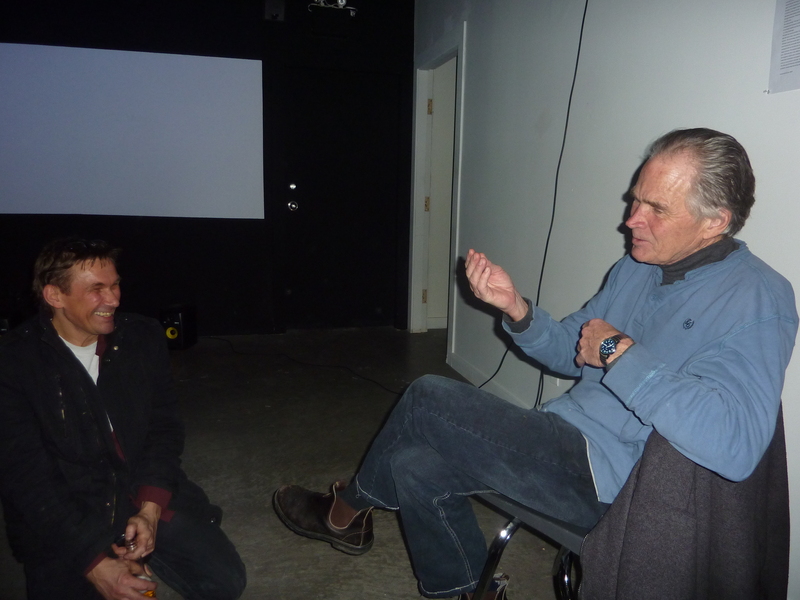 These filmmakers, Rimmer included, soon became part of the international experimental/avant-garde/underground film movement of the late ’60s and early ’70s. Rimmer was also making film loops for performance pieces. This led to the production of several loop films, including what is probably his most widely seen film, Variations on a Cellophane Wrapper(1970), made from a short segment of an NFB documentary. Rimmer was also making film loops for performance pieces. This led to the production of several loop films, including what is probably his most widely seen film, Variations on a Cellophane Wrapper(1970), made from a short segment of an NFB documentary. Found footage was also the source forThe Dance (1970), Seashore (1971), Surfacing on the Thames (1970) and Watching for the Queen(1973). In the last two, step printing reduces movement to a minimum, giving the viewer time to contemplate minute details in each frame of the film, including the changing patterns in the grains of emulsion. 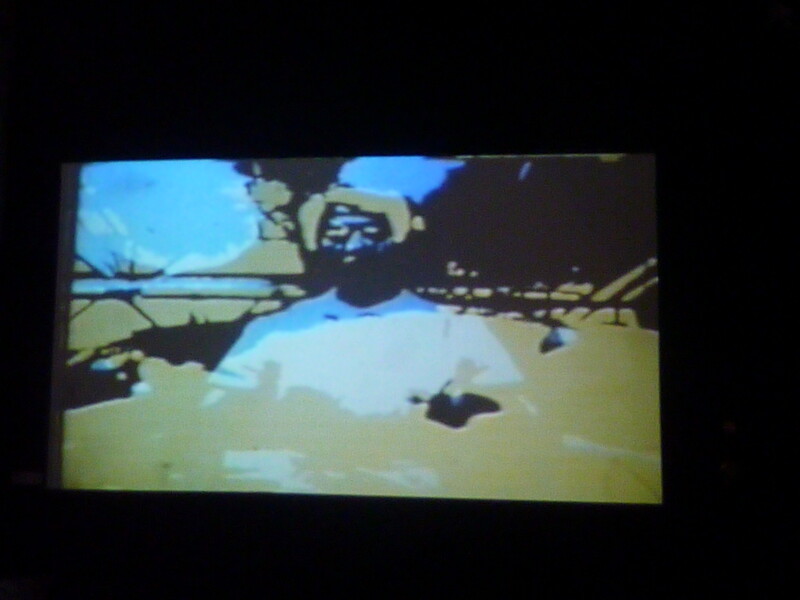 While Rimmer returned to found footage for a few later films such as As Seen On TV (1986) and Divine Mannequin (1989), he was also drawing upon his own filmed images of his West Coast environment – the ocean, the coastal forests and inlets – for personal, poetic films of subtle beauty and an introspective appreciation of the shapes, colours, textures and rhythms of nature. Narrows Inlet (1980) and Local Knowledge (1992) are notable examples. 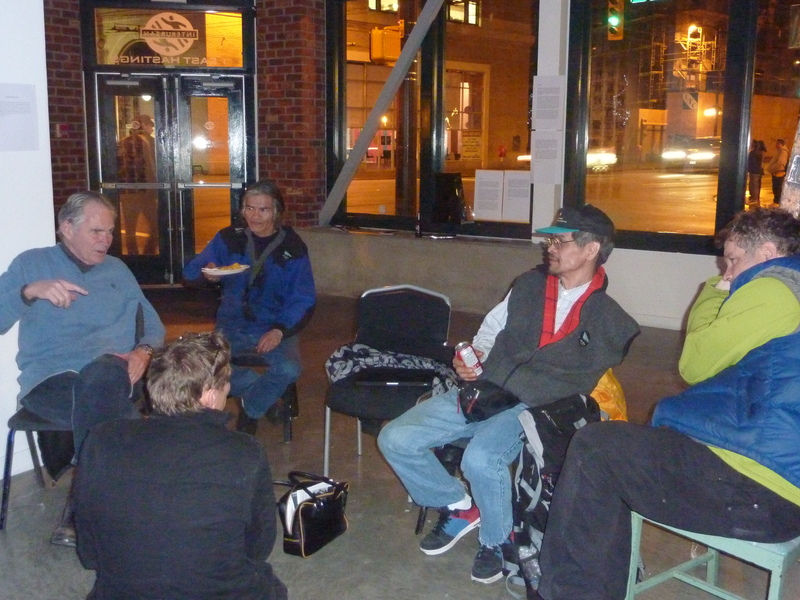 Rimmer also discovered fascinatingmise en scènes by setting up his camera at a window and periodically recording what transpired outside – in the street in front of a New York pizza parlour for Real Italian Pizza (1971) and in a Vancouver railroad yard with water and mountains in the background for Canadian Pacific I (1974) and Canadian Pacific II (1975). Taking a very different tack, Rimmer made Al Neil: A Portrait in 1979. It was the first of nearly a dozen films that perhaps can be best categorised as experimental documentaries. Since 2002, he has been hand-painting frames of 35mm film for works released on video, best represented by An Eye for an Eye (2003). 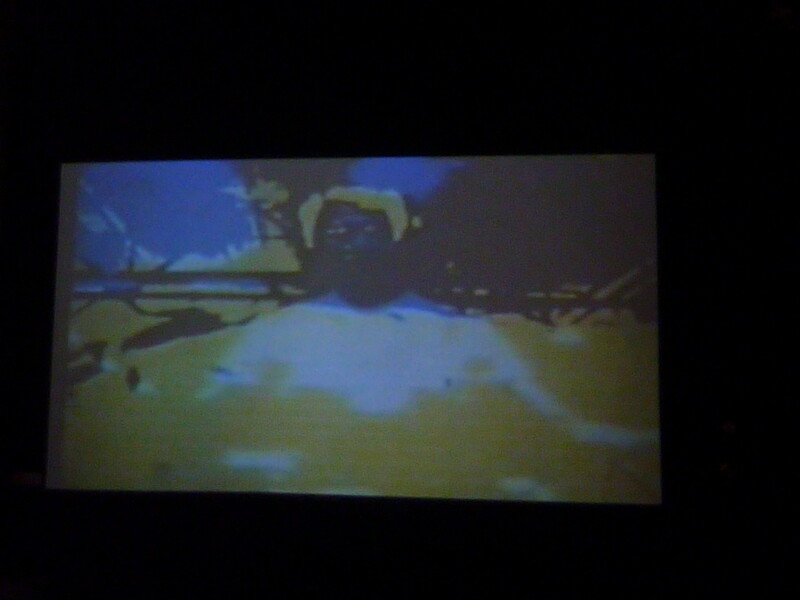 Rimmer’s oeuvre of nearly 50 films and videos also includes works shot and released on video, as well as pieces prepared for gallery presentations. 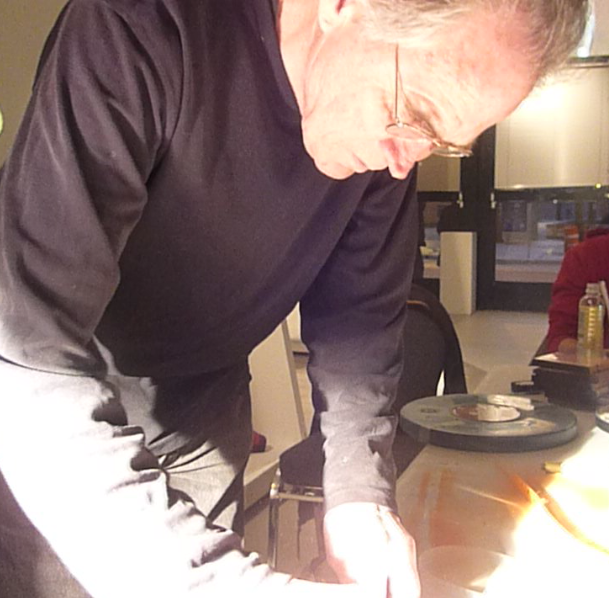 Because of their variety of techniques, genres and subject matter, Rimmer’s films and videos defy the usual critical and scholarly efforts to label and generalise about an artist’s work as a whole. Much of his film work of the 1970s falls within the parameters of the structural and structural-materialist films that dominated experimental filmmaking during that decade, and a select group of his films can be placed in the category of “landscape films” (1). But, as Catherine Russell observed in a 1993 essay (to which I will return), “The body of Rimmer’s work…is a fragmented and historical text” (2). 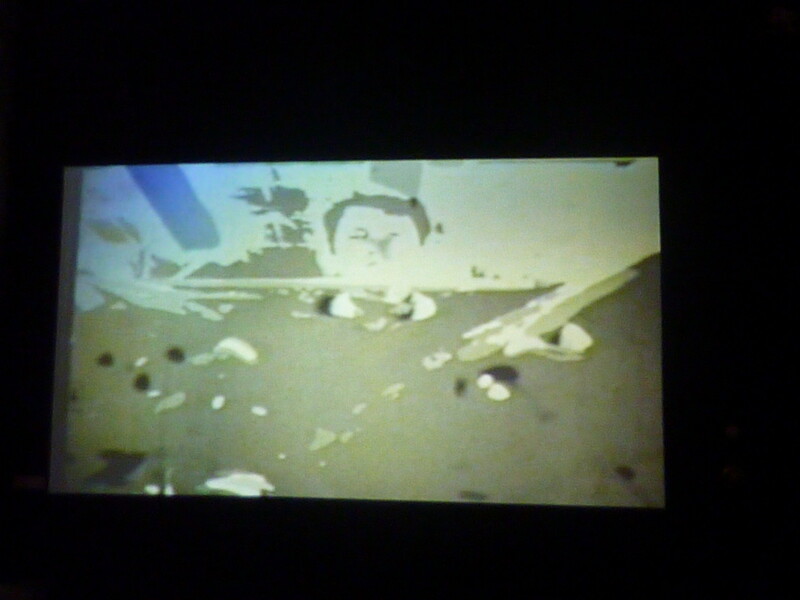 That “text”, which has continued to grow in variety as well as in number of “fragments” since Russell’s essay appeared, has not yet received the kind of critical attention accorded the work of other major Canadian experimental filmmakers, such as Michael Snow, Joyce Wieland and Jack Chambers. 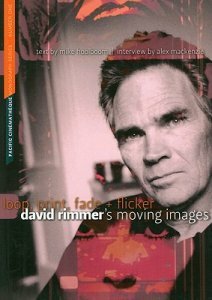 WhileLoop, Print, Fade + Flicker provides a useful introduction to Rimmer and his work, it does not provide the detailed critical study that Rimmer’s accomplishments as a film artist deserve.